Today I'm making a list (and checking it twice!) of what I love about our family Christmases in Australia. I've chosen my top six favourites that always remind me it's Christmas time - and (funnily enough) none of them have anything to do with giving or getting "stuff" - it's more to do with all the little things that make me feel Christmas-y. We don't have a white Christmas - it's always REALLY hot here in Australia - right in the middle of our Summer - and we're all in sundresses and shorts. The airconditioner is blasting and if there's a backyard swimming pool involved then we're even happier. No fluffy socks and sipping hot toddies here - we're all outside with a cold drink and a sunhat. One Christmas we even ended up having family Kendo sword fights in the backyard. A lot of people like cutting down trees and bringing them home to decorate. We tend to go for the store bought variety and for me the bling-ier the better. Our current tree has it's own colour changing fibre optic tips and then there's the lights strung through it as well - you can never have too much twinkle on your tree. Australia took a while to catch onto the American love for decorating the outside of the house with Christmas lights, but we've jumped on the bandwagon big time these days. Nothing beats a stroll around the neighbourhood on a balmy Summer evening looking at the lights - we have a ropelight Nativity scene with a star as our contribution. We don't do ugly Christmas sweaters in Australia - it's the middle of Summer here! 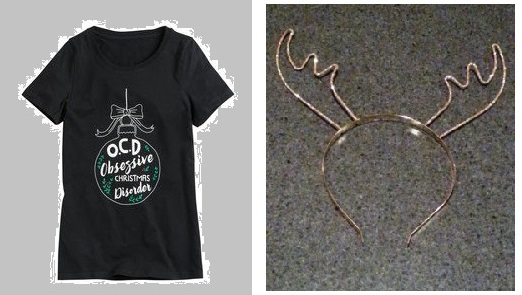 Instead we do silly Christmas T-shirts and I'm also a big fan of Christmas headbands - this year I have a new Christmas shirt and a sparkly set of reindeer antlers to keep me smiling in the lead up to the big day. I have to have Christmas music playing while I set up the Christmas tree. From Dec 1st there's no holds barred on my Christmas CD collection - it's such happy music isn't it? And there's nothing like Silent Night or Come Let Us Adore Him or Gloria in Excelsis Deo to get me in the Christmas spirit. No figgy puddings, or giant roast turkeys in our Christmas celebrations. We tend towards chicken, and seafood, and ham and salads. Lots of easy to prepare and easy to bring and share food for the extended family meals. Sometimes we even lean towards a barbeque or two around Christmas Day - a great way to enjoy a warm Summer evening. Dessert tends to be pavlova, and cheesecake, and fresh fruitsalad, and cream and icecream - cool and a delicious end to the meal. And there is always a Christmas cracker to pull for the hat and the silly toy. Have I missed anything Aussie about Christmas - I'm sure other people would add in cricket games in the backyard or a visit to the beach. We're not that sporty or beachy but I know both are firm favourites Down Under. I think you’ve covered it well Leanne!! All the best to you and your family for a happy time together. Looking forward to being involved next year in your new project. Reminded me of our South African Christmas times and made me nostalgic! And pavlova! I miss that. Have a merry holiday!!!! How fun! We're in New England and getting snow today so it's sweaters, hot cocoa, crock pot meals and indoor fun all the day. Yes Leanne you have described our Aussie Christmas perfectly! Merry Christmas to you and your family and here is to a fabulous 2018 including our new link party project. Enjoy! And a blessed and joyful Christmas to you too Sue. So happy to have shared this year with you and looking forward to all that we have planned together for 2018! I am from Portland, Oregon, USA. It all looks so familiar and I love your weather. Have a wonderful holiday. Brrr as I am shivering in a cold damp London I am seriously envious! Not too dissimilar to a NZ Christmas, which is apparently very hot too. Not very hot nor very cold here in coastal Spain, just right to explore and have a picnic on Christmas Day. Good post Leanne, look forward to reading more from you next year. Leanne, here in Minneapolis, Minnesota it’s hard to imagine Christmas not being white with snow or bundled up in a winter jacket. However, I do remember a couple of very mild winters where we didn’t have a white Christmas at all. A mild winter for us would be absolutely bone chilling for an Aussie. Haha Have a wonderful and warm Christmas down under! I only know about Minnesota from "How I Met Your Mother" Laurie - and it looked VERY cold! It's certainly a whole different kettle of fish for Christmas celebrations - but special in its own way too - Merry Christmas! I still have a snowy white Christmas on my to-do list Rae - it must be a huge contrast to an Aussie desert Christmas! I came here to pin this post to read this later but I was impressed to read it first. Guess what? my 18 year old son is currently in Australia (first time away from home) and I really wanted to hear from someone else what it is like there at Christmas time. He loves his food and I hope he gets some of his favourites. The weather sounds really on the hot side, which is the opposite of what he is used to. I'm thinking he would do some beach trips at this time to cope. Thanks for sharing though and all the best for the season. While its not summer, here in Alabama our Christmas is sometimes the same as yours. Sometimes it is so hot you can't wear the cute new sweaters and boots that you bought. I enjoyed reading how you celebrate. 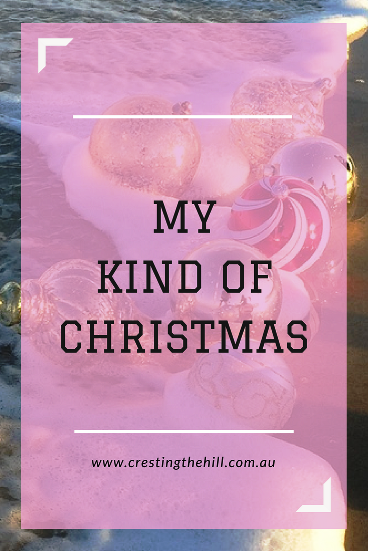 Hi Leanne, It was so much fun and interesting to read about the Aussie way of celebrating Christmas! I pinned and share to all my social media. Thanks so much for sharing Australia with us at the #BloggingGrandmothersLinkParty. 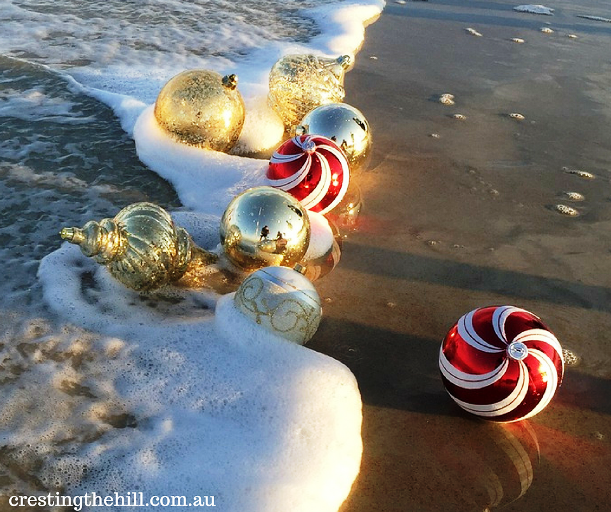 I also love the picture of the ornaments at the beach!